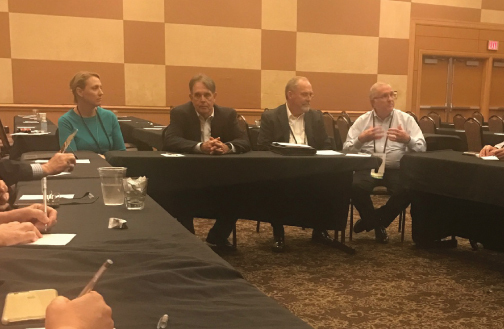 Medata’s Practice Leader of Compliance and Regulatory Affairs, Todd Brown, moderated for a panel at AASCIF on the important role of State Funds in the establishment, administration and analysis of state fee schedules. The Panel of industry experts included Dr. Deitz, Principal of David Deitz and Associates and a consultant at Medata; Kathy Fisher, Assistant Director of External Engagement for WCRI; and Cecil Rudd, Director of Claims at CompSource Mutual. Thanks to all who attended this informative session!